With our mince pies flying off the shelves at this time of year, we inevitably face questions about them containing palm oil. I gave my thoughts on the use of it a few years ago and, to be honest, nothing has really changed – apart from the fact that I imagine a palm farm is a much more effective carbon sink than a field of rapeseed, soya beans or wheat. I see it as a useful ingredient that, when produced sustainably and used (ie not as a filler) and traded responsibly we would be crazy not to use. We have tried making the mince pies without them and they are nowhere close to being as good. It’s hard to say exactly why but we’ve also tried butter and that didn’t work either. 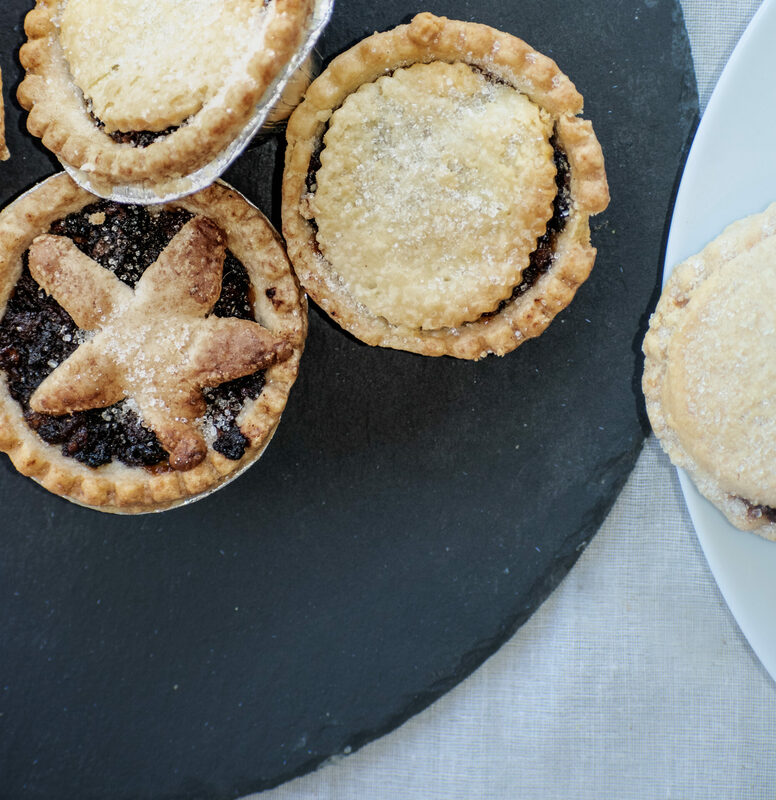 I know that other, palm fat free mince pies are available, including Riverford’s offering last year but many local customers stopped buying ours because they didn’t like them and assumed ours would be the same. I realise it’s an emotive issue so please take the time to re-read my thoughts from a few years ago below and also look at the Daabon website (http://www.daabon.com/en/index.php), who supply our palm oil for us. In terms of our ‘good food from good farming’ ethos, I think we’re still doing pretty well with the mince pies. Rest assured, we do spend a lot of time thinking about these things and try to make the right decisions – for everyone. Ben’s Blog November 2016 – a recap. While our mince pies are ‘going viral’ there is a down side – palm fat. Yes, we do use it in the mince pies but let’s not get hysterical. Using traditional beef suet is, not surprisingly, deemed unacceptable and other than unhealthy trans fats, butter and palm fat are the only alternatives that wouldn’t change the nature of the beast. Organic butter is three times the price and, as explained below, in the big picture, isn’t the answer. Photographs like the one above really strike a chord with all our worst fears but palm oil isn’t the only crop grown in areas recently cleared of virgin rain forest. It’s the deforestation, rather than palm oil production, that’s at fault and soya and beef are as much to blame. If we all ate less meat, we’d need less soya and there would be plenty of farm land in the tropics to grow palm trees. Why do we need all this palm oil anyway? It’s not as though we’re all popping down to the shop for a block of palm fat. Or are we? It’s in everything from cosmetics to biofuel to processed food. I remember reading that half of all processed food has palm oil in it. Bastions of the organic and whole-food sector use it big time. I won’t name names but from breakfast cereal to chocolate to vegetable stock powder to oatcakes, it’s in there. They all say it’s sustainably sourced but there are massive questions over whether RSPO (Roundtable on Sustainable Palm Oil) is anything other than another, quasi-official, cosy little trade organisation that claims much but achieves little and they’ve only signed up about 18% of production anyway. Elsewhere (as well as in SE Asia and Indonesia) there have been endless bad news stories of subsistence farmers being thrown off their land by the fat cat corporations. But again, that’s symptomatic of our times – multinational agribusiness bullying small farmers has been going on for hundreds of years. Our palm fat/oil comes from Daabon Group in Santa Marta, Columbia. They’ve been organic for over twenty years and are members of the RSPO, Rain Forest Alliance and numerous other bodies. They claim to support small farmers but there’s no getting away from the fact that they’re a big agribusiness. So what’s the answer? Boycotting it is a/ virtually impossible and b/ impractical because unless we dramatically change our habits, super productive palm trees will be replaced by a less efficient and even more land hungry crop. The world has to be fed and palm oil is pretty amazing stuff. It just has to be grown and used in a more responsible way – i.e. grown instead of another crop on existing farmland and used less and not as a kind of industrial ‘catch-all’ filler. If we ate less processed food, there wouldn’t be such a demand. But we’re not telling the industry what we want. There has to be something seriously wrong when half of RSPO eligible product isn’t even sold as such. We’re all so emotive that, instead of demanding better palm oil, we’re polarising the situation by boycotting it altogether.